Hair care for those of us with longer hair is rarely simple. It’s important to use the correct products for your hair, especially when trying to straighten your hair—so we’ve looked at the best hair straighteners out there. If, like me, your hair loves to go crazy from humidity, using the “wrong” hair product, or simply because it just felt like it one morning—your hair straightener soon becomes one of the most important parts of your morning routine. Not all hair straighteners are the same though. Different products use different materials and techniques for getting your hair just so, and it’s wise to be aware of the differences. We’ve checked out a variety of different options which encompass different budgets, whether you’re in need of a gift idea for someone, or you simply need something with plenty of different accessories. Here are some of the best hair straighteners out there. 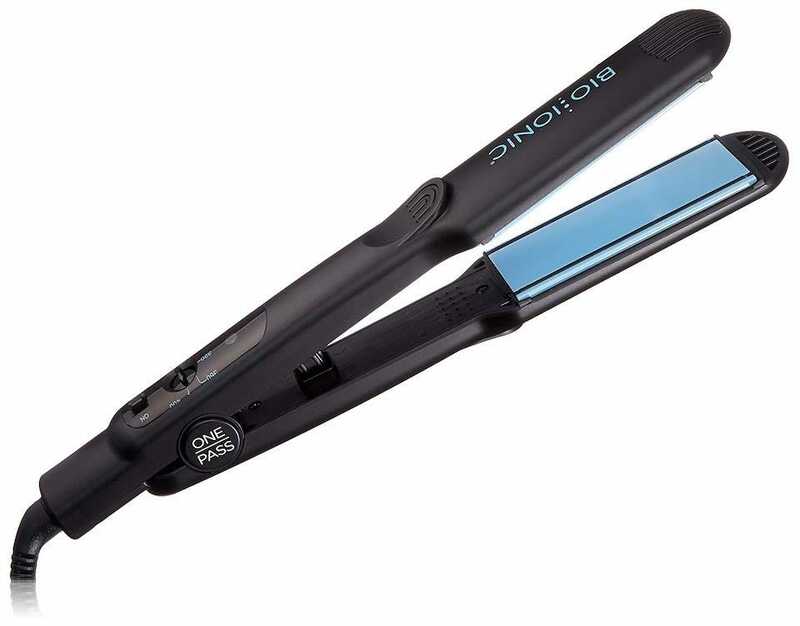 When it comes to a solid pair of hair straighteners that will last you many years, you can’t go wrong with the Bio Ionic Onepass. It lives up to its name as, generally, you can straighten your hair effectively in a short space of time, only needing one pass through your hair. It uses silicone speed strips which, to you and me, means faster straightening and an increased shine at the end. 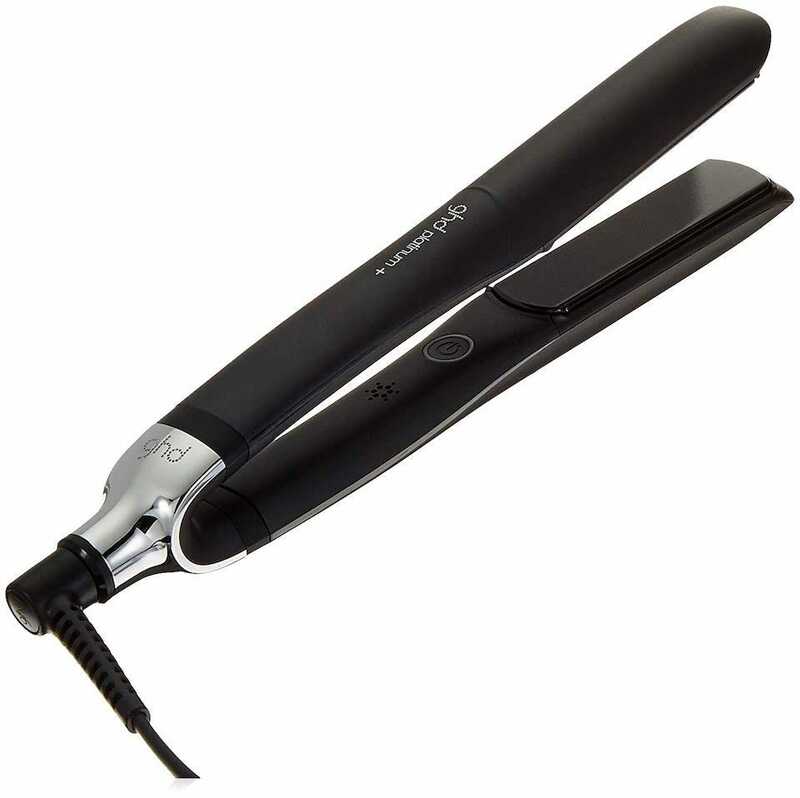 The straighteners heat up to 400 degrees Fahrenheit which is plenty hot enough for when you “iron” your hair. Contained within the speed strips is a nanoionic mineral which aims to hydrate dry and damaged hair while you use it. It’s not quite as foolproof as using a separate hair protection spray, but it goes some way to being an all-in-one solution. A particularly big hair straightener name in Europe, GHD (Good Hair Day)’s Platinum+ Professional Performance are the best straighteners that the company offer. That’s why they cost a fair chunk of cash. For the price, you get some impressive sounding statistics. These include 70% less breakage, twice as much color protection as its rivals, and heat that is monitored 250 times per second so it always straightens at its optimal temperature of 365 Fahrenheit. As a personal big fan of the brand, I can attest to this being the case. I’m lazy with my hair but these GHDs only take about 20 seconds to heat up and save you plenty of effort. There’s no need to set aside a ton of time to see a difference while using these. The straighteners are particularly good when dealing with thick hair too. Now, we’ll level with you—the reason why the best hair straighteners are expensive is because, typically, they straighten your hair faster and more effectively than cheap straighteners. 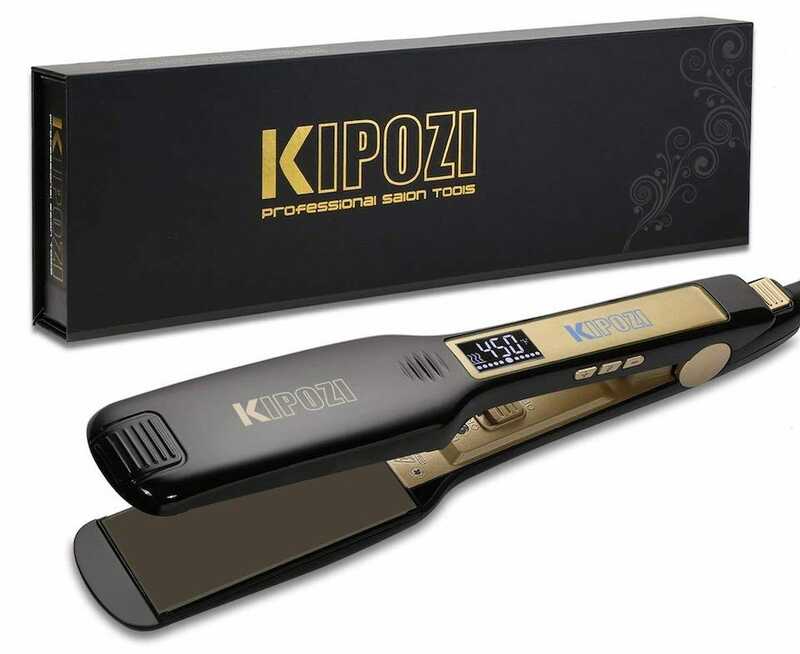 Having said that, the KIPOZI Professional Titanium Flat Iron Hair Straighteners do a pretty good job, albeit a little slowly, so if you’re on a budget, they’re worth it. They heat up to 450 Fahrenheit with adjustable temperature options for when you don’t want to go too high. A 1.75-inch floating plate hair flat iron works hard at straightening out your hair and provides even distribution of heat just like the more expensive solutions. The only issue here is that it’s not as effective as something like the Bio Ionic or GHD pairs, because it hasn’t got the weight and higher quality components behind it. Still, if your budget is tight and you don’t mind spending longer doing your hair, or if you’re not even sure if you want your hair straightened all the time, these are worth a shot. They definitely provide decent results. Hair straighteners are a great gift idea so any set that comes with a bunch of accessories is all the more appealing. 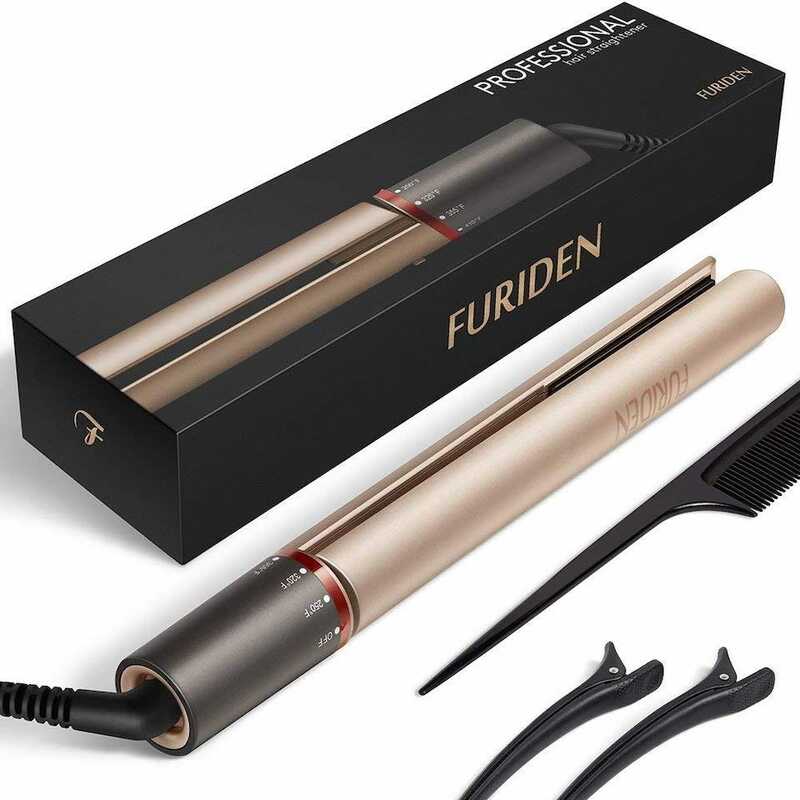 The Furiden Professional Hair Straighteners is great for that reason. Besides being well priced for its effectiveness level (expect to be able to start using these after 15 seconds of heating), they come with a bunch of useful extras. There’s a heat-resistant glove, a bag for storing your straighteners, a salon comb, and 2 hair clips so you can move your hair aside safely so that you can tackle hidden away strands. 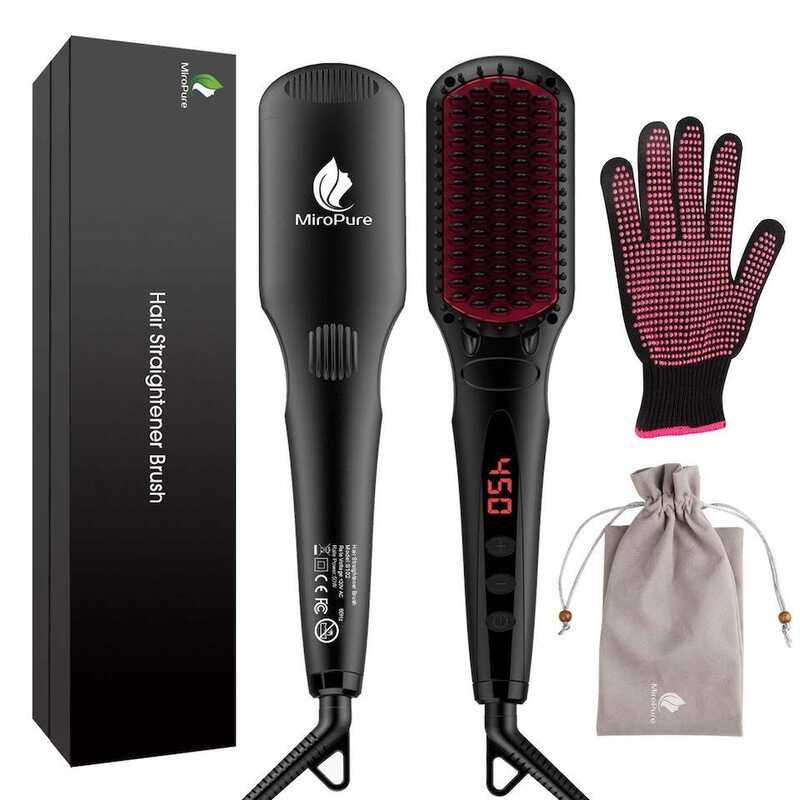 It’s a package deal that’s particularly ideal if you’re buying someone their first ever set of hair straighteners, and you want them to have everything to get started with. In an ideal world, you have the time in the morning to use your straighteners lovingly until your hair looks awesome. In reality, you overslept and you’re in a rush. Buy the Elepawl Hair Straightener Brush and you have a good alternative to digging out your more effective hair straighteners. It’s a brush that heats up, basically. That way, you simply use it like a regular brush, combing it through your hair and gaining some good results. 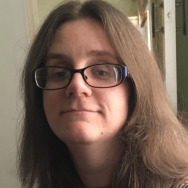 It’s not the same as a “proper” hair straightener but if incredibly straight hair doesn’t suit your style, or you simply aren’t too fussed, this is a good option to pursue. With certain hair types, it looks a little more natural than a flat iron style set of straighteners. So you’d like to buy a drone for your kids for the holidays… but drones are fragile (and expensive). Those two qualities don’t combine well with kids of any age. What’s a parent to do?